Fleetwood Mac News: The reunion of the classic Fleetwood Mac lineup is "profound," says Lindsey Buckingham. 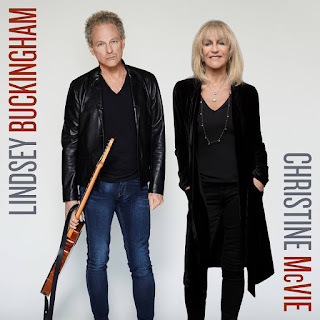 The reunion of the classic Fleetwood Mac lineup is "profound," says Lindsey Buckingham. SANTA MONICA, Calif. — Looking back on her 1998 exit from Fleetwood Mac, Christine McVie recalls how considerate and obliging her bandmates were, particularly Stevie Nicks. 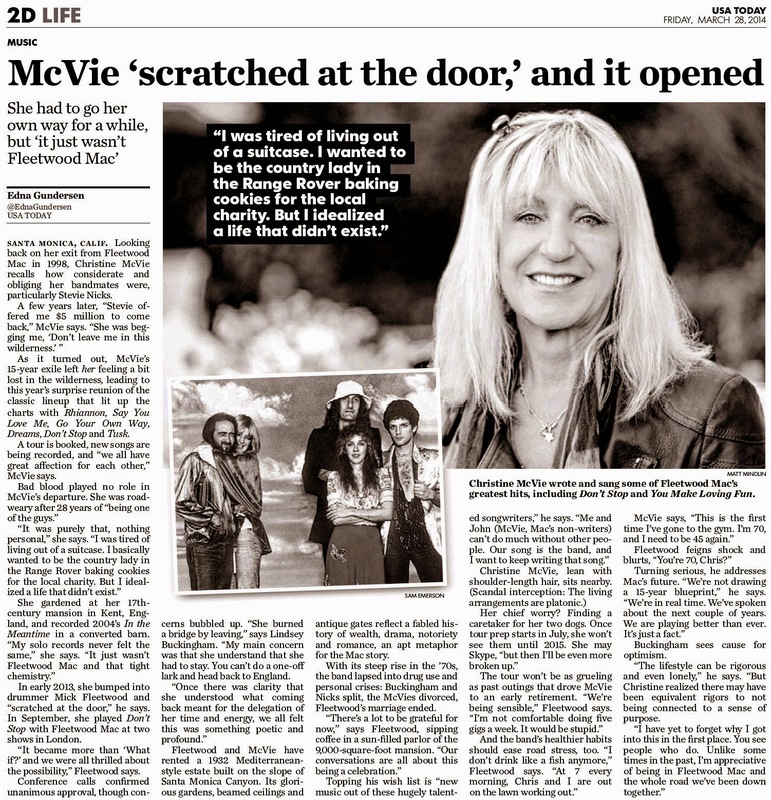 A few years later, "Stevie offered me $5 million to come back," McVie says. "She was begging me, 'Don't leave me in this wilderness.' 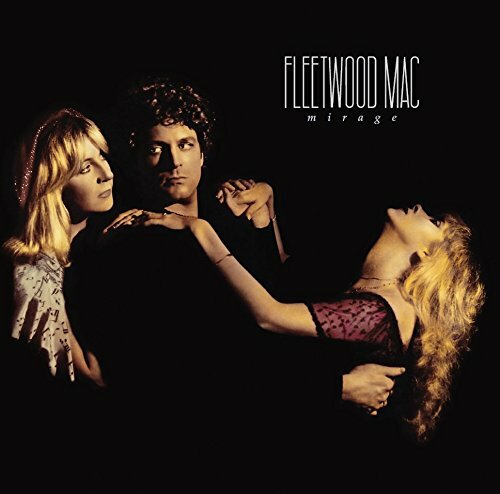 "
As it turned out, McVie's 15-year exile left her feeling a bit lost in the wilderness, leading to this year's surprise reunion of the classic lineup that lit up the charts with Rhiannon, Say You Love Me, Go Your Own Way, Dreams, Think About Me, You Make Loving Fun, Don't Stop, Tusk and Hold Me. 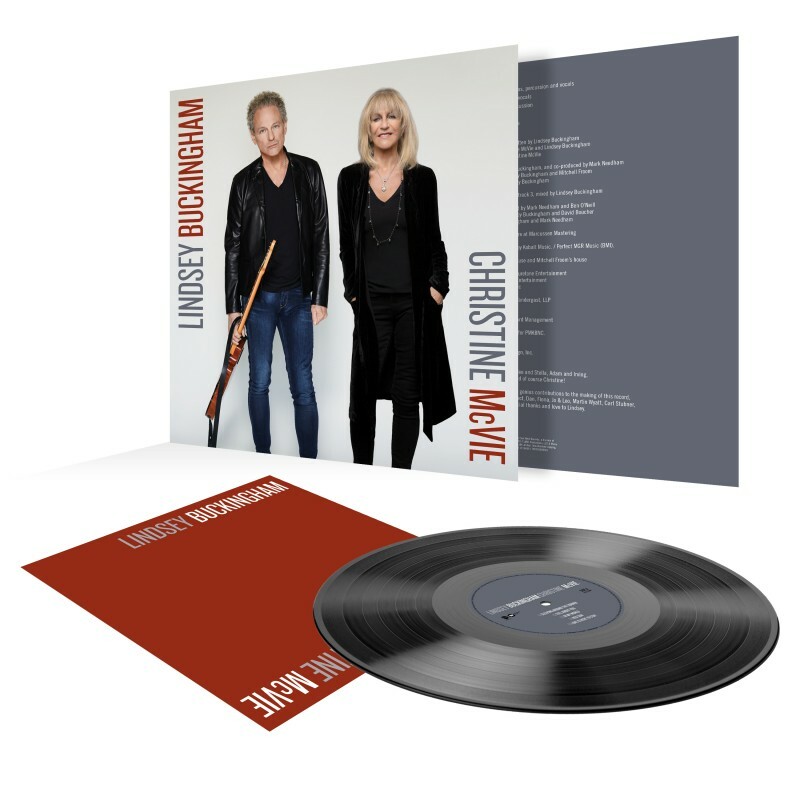 A tour is booked, new songs are being recorded, and "we all have great affection for each other," McVie says. Bad blood played no role in McVie's departure. She was road weary after 28 years of "being one of the guys, raised in taverns and pubs with smoking, beer-drinking men." "It was purely that, nothing personal," she says. "I was tired of living out of a suitcase. I wanted to be settled. I had decided to move from L.A. to England in 1990 but didn't go there until after the earthquake in 1994. I basically wanted to be the country lady in the Range Rover baking cookies for the local charity. But I was missing something. I idealized a life that didn't exist." She gardened at her 17th-century mansion in Kent and recorded 2004's In the Meantime in a converted barn with her nephew. "My solo records never felt the same," she says. 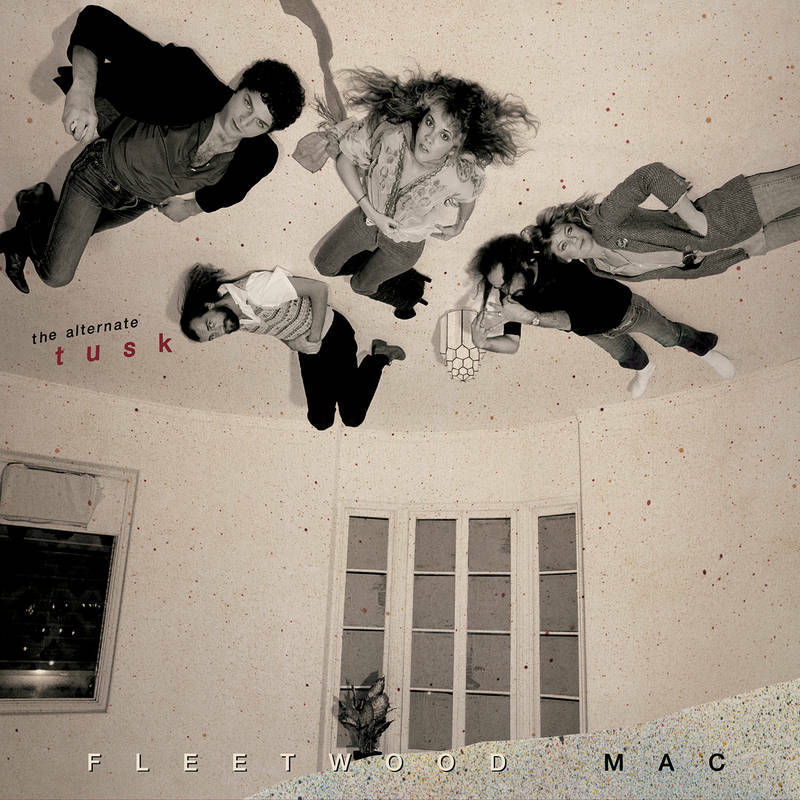 "It just wasn't Fleetwood Mac and that tight chemistry." In early 2013, she bumped into drummer Mick Fleetwood and "scratched at the door," he says. 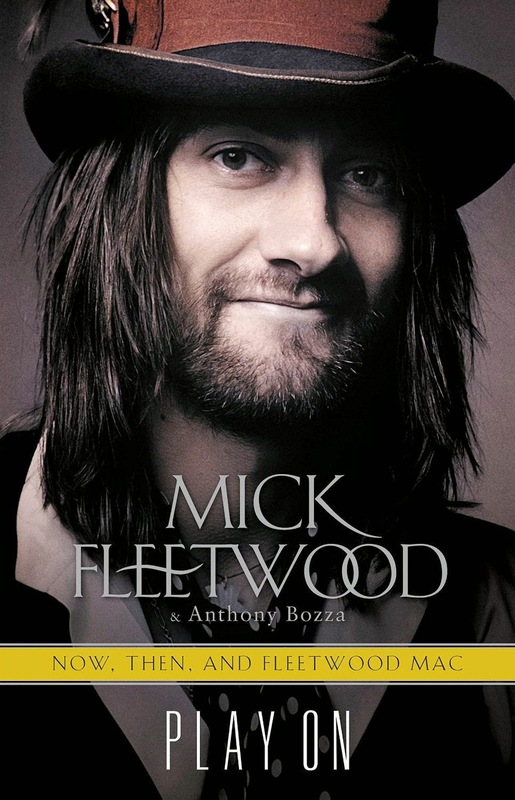 Grounded for 15 years by her fear of flying, McVie agreed to fly with Fleetwood to Maui, where he lives, and perform in his blues band with John McVie. 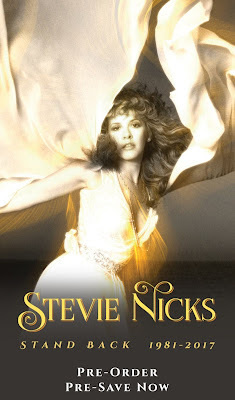 In September, she played Don't Stop with Fleetwood Mac at two shows in London. "It became more than 'What if?' 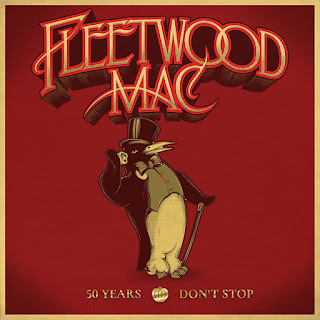 and we were all thrilled about the possibility," says Fleetwood. 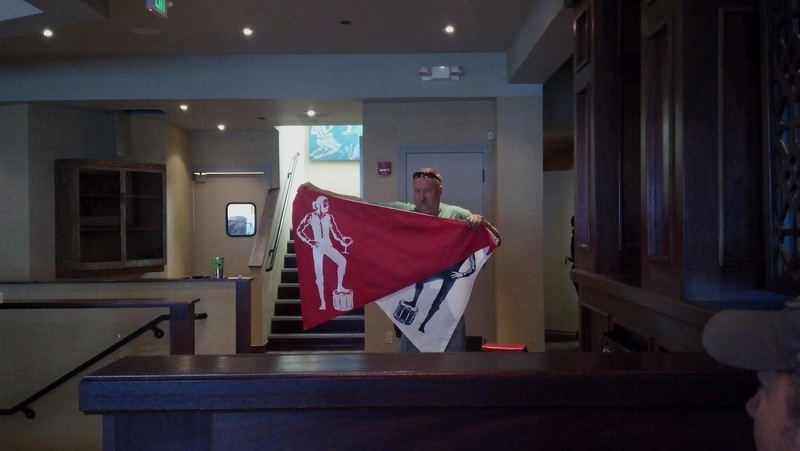 Conference calls confirmed unanimous approval of her return, though concerns bubbled up. 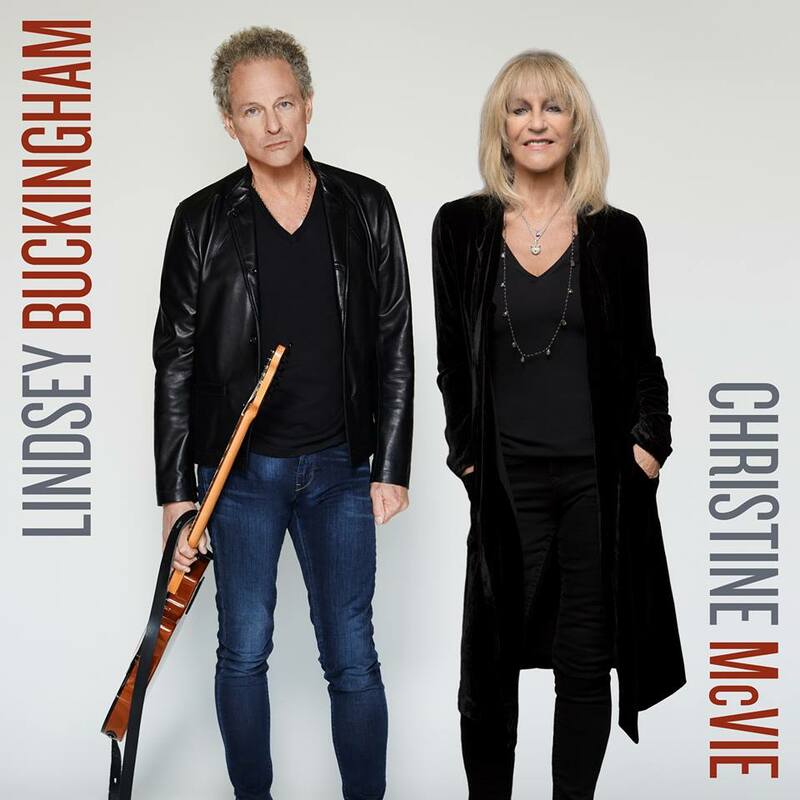 "She burned a bridge by leaving, and we redefined what we were doing and carried on in a pretty effective way," says Lindsey Buckingham. "My main concern was that she understand that she had to stay. You can't do a one-off lark and head back to England and leave us hanging. "Once there was clarity that she was in a good place and understood what coming back meant for the delegation of her time and energy, we all felt this was something poetic and profound. "There's such a back story around the five of us," he says. "In many ways, the last 15 years have been the best of my life. 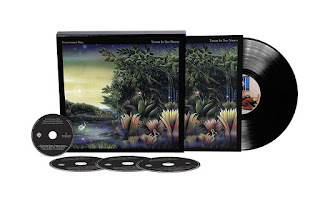 In the early days of Fleetwood Mac, as successful and exciting as they were, we were not particularly stable, clear-headed or emotionally fulfilled." 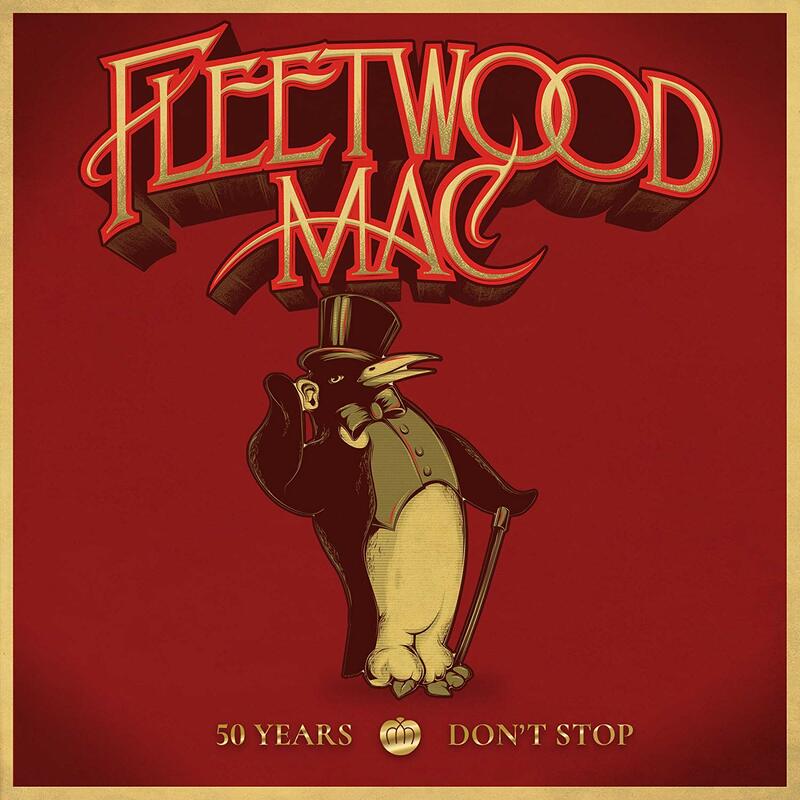 Fleetwood and McVie have rented a 1932 Mediterranean-style grand estate built on the slope of Santa Monica Canyon. Its glorious gardens, beamed ceilings, art deco tiles and antique gates reflect a fabled history of wealth, drama, notoriety and romance, an apt metaphor for the Mac story. With its steep rise in the '70s, the band lapsed into drug use and faced personal crises: Buckingham and Nicks split, the McVies divorced, Fleetwood's marriage ended. 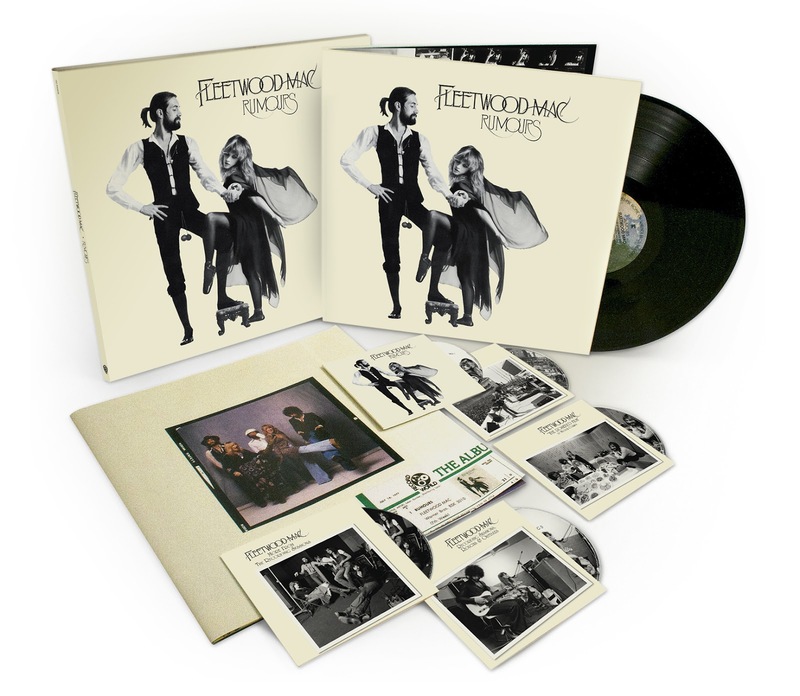 "Having taken this story line, there's a lot to be grateful for now," says Fleetwood, sipping coffee in a sun-filled parlor of the 9,000-square-foot mansion. "Our conversations are all about this being a celebration. That's the mantra." Topping his wish list is "new music coming out of these hugely talented songwriters," he says. "Me and John (Mac's non-writers) can't do much without other people. Our song is the band, and I want to keep writing that song." McVie, lean with shoulder-length blond hair, sits nearby (scandal interception: the living arrangements are platonic). "Everybody was so warm and friendly and welcoming," she says of the re-entry. "Lindsey said, 'Be sure it's what you really want.' The fear of starting up again went away." 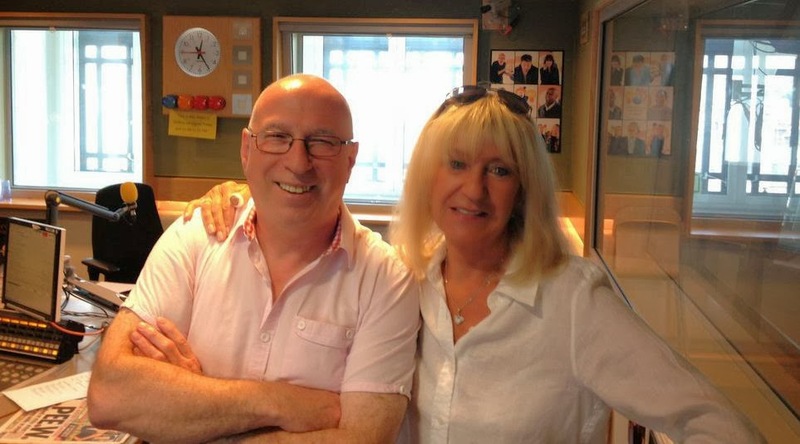 McVie's chief worry? Finding proper caretakers for her house and two 15-year-old dogs. Once tour prep starts in July, she won't see them until 2015. She may Skype, "but then I'll be even more broken up." The upcoming world tour, with multiple stops in some markets, won't be as grueling as past outings that drove McVie to an early retirement. "We're being sensible about not overcooking the tour schedule," Fleetwood says. "I'm not comfortable doing five gigs a week. You get burned out. It would be stupid." And the band's healthier habits should ease road stress, too. 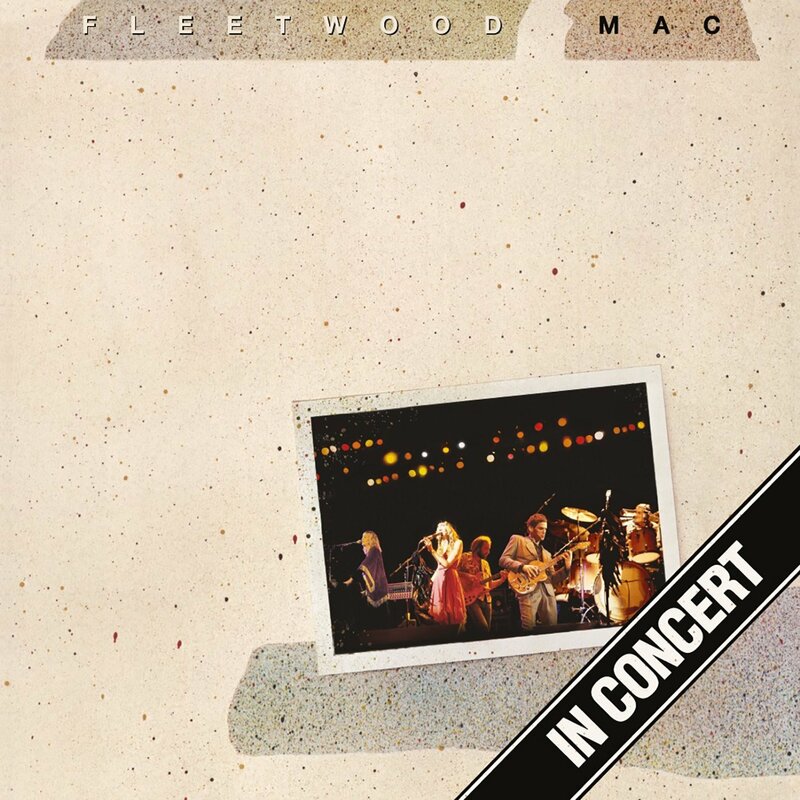 "I don't drink like a fish anymore," Fleetwood says. "At 7 every morning, Chris and I are out on the lawn working out." McVie says, "I need to be fit for this tour. I've never worked out in my life. This is the first time I've had a trainer or gone to the gym. I'm 70 and I need to be 45 again." 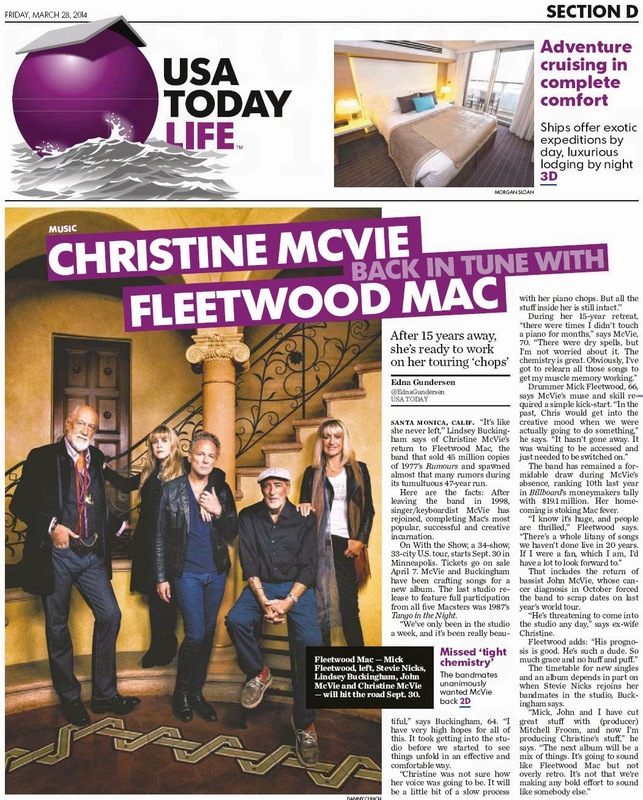 Fleetwood feigns shock and blurts, "You're 70, Chris? Oh, I've got to rethink this!" Turning serious, he addresses Mac's future. "We're not drawing a 15-year blueprint," he says. "We're in real time. We've spoken about the next couple of years." He adds brightly, "We are playing better than ever. It's just a fact. So there you go." Buckingham sees cause for optimism. "We're behaving ourselves a lot more," he says. "We're not doing the intense schedules we used to do. The lifestyle can be rigorous and even lonely. But Christine realized there may have been equivalent rigors to not being connected to a sense of purpose. "I have yet to forget why I got into this in the first place," Buckingham says. "You see people who do. 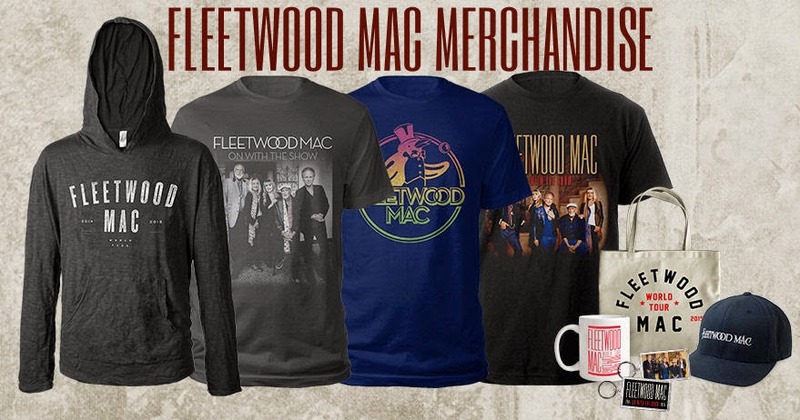 Unlike some times in the past, I'm appreciative of being in Fleetwood Mac and the whole road we've been down together." so happy chris is back! her voice is like honey and the 3 part harmonies are pure magic. Oh my gosh, how adorable is it that Mick and Chris are renting a house together and have a workout routine?